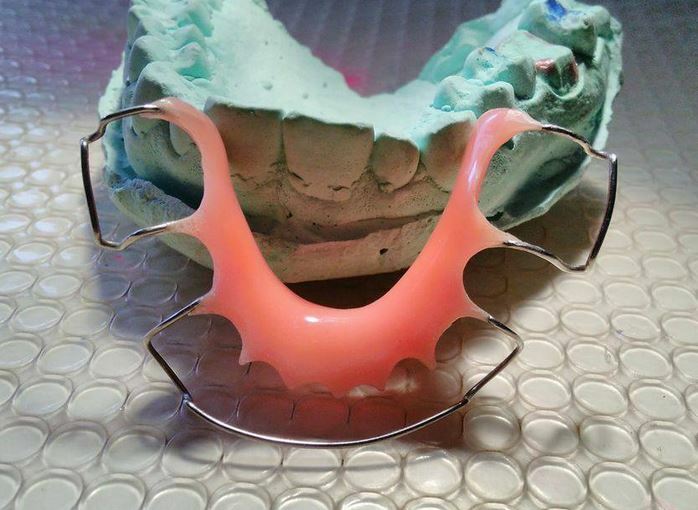 Maintaining Dental Braces for Orthodontic treatment is a challenge, while Ceramic Braces or White Braces is a boon which has the same function as Steel or metal braces but is aesthetically much better giving a tooth like color and not making the braces look obvious. Apart from the benefits of the Ceramic Braces in comparison to Metal Braces, one major problem which many patients face is the discoloration. How to Decide whether you need Orthodontic treatment? Ceramic Braces have a tendency to stain easily if not taken of properly, the staining takes place from dyes in our everyday food items we consume or some habits like smoking etc. If proper oral hygiene or care is not taken, yellowish staining of Ceramic braces is most commonly seen. To maintain the aesthetics of ceramic braces you need to maintain good oral hygiene and also make certain changes in your day to day life. This is the most important step which lets you maintain good oral hygiene when wearing Dental Braces and also helps in preventing staining of Ceramic Braces. Some dentists advice brushing after every meal, but this sometimes can lead to brushing induced conditions like abrasion. So it is advised to brush twice daily – once in the morning and once in the night. Make sure to gargle with water after every meal, because with braces the increased surface area and the little spaces in between the brackets lead to accumulation of food particles which can lead to staining. Use a Soft Orthodontic brush for better cleaning as the normal brushes do not reach every nook and corner of the brackets. Some of the food items which can cause staining to the Ceramic brackets should be avoided such as Tea, Coffee, Mustard, Tomato ketchup, dark colored fizzy drinks. Such food items contain substances which can attach to the ceramic in the brackets and change the white color to their respective stains. Make sure that you keep in mind whether the food items which you commonly consume can cause stains or not and avoid them till the time you are wearing ceramic braces. 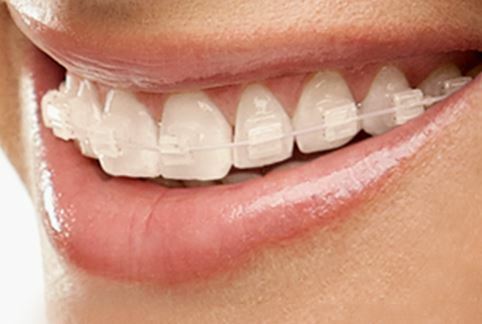 Smoking is one of the major causes of staining of teeth, so the same applies to ceramic braces. The nicotine present in Cigarettes leads to yellowish brown stains on the teeth or brackets while the tar leads to brownish staining of braces. The stains are very difficult to remove so we have to follow the policy prevention is better than cure in this scenario. Smoking is strictly prohibited while wearing Ceramic Braces. 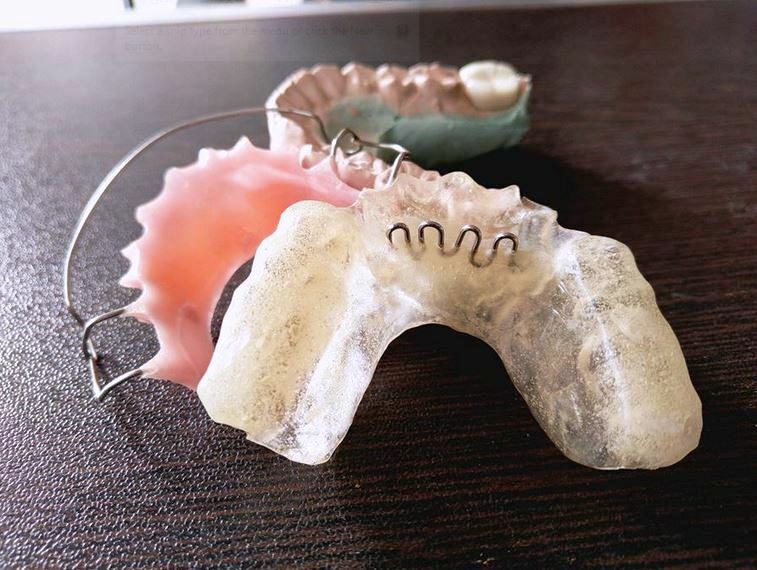 Other habits such as Ghutka chewing (India) or tobacco chewing is also strictly prohibited while wearing Ceramic braces for orthodontic treatment. Rinsing your mouth after every meal is a must to make sure that all the food particles which are stuck in the brackets get cleaned. Rinsing water forcefully in your mouth after having any food can help in preventing not just stains but also bad breath and helps in preventing any gum infections. Flossing and using of interdental brushes to clean between the brackets is a must to help in removing any specs of food particles which might get stuck and are difficult to remove with the help of rinsing or brushing. The rubber bands which are used to hold the wire in place with the brackets are very easily stained and they need to be replaced regularly as they loose their elasticity as well after a certain period of time. Appointments are a must and should never be missed at any cost, it is advisable to either reschedule the appointment but never miss it. Orthodontic treatment is a long procedure which requires timely assessment and action for the treatment to progress in a proper way. These are the simple steps which need to be followed to keep your Ceramic braces white to match your teeth color and be aesthetically good looking. In most cases I’ve found the staining is almost impossible to avoid… I mean, it’s not “impossible”, but you have to be insanely vigilant to avoid it completely, and I can understand why most people don’t. I would just plan on having your teeth whitened after you have your braces off.